Easton is a census-designated place situated right on I-90 in Kittitas County. Single-family homes for sale here tend to be large, custom-built homes on large lots or acreage. 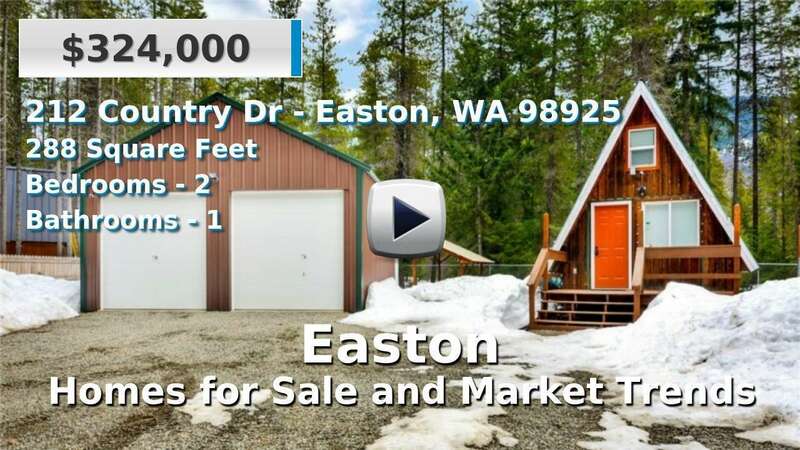 Residents can take advantage of local features, such as Lake Easton and Iron Horse State Parks, Easton, Kachess and Cle Elum Lakes, and Stampede Pass. The Amabilis Mountain is also just north of Easton. 2 Beds | 0.75 Baths | 288 sq. Ft.
7 Beds | 4.5 Baths | 6845 sq. Ft.
2 Beds | 3 Baths | 2500 sq. Ft.